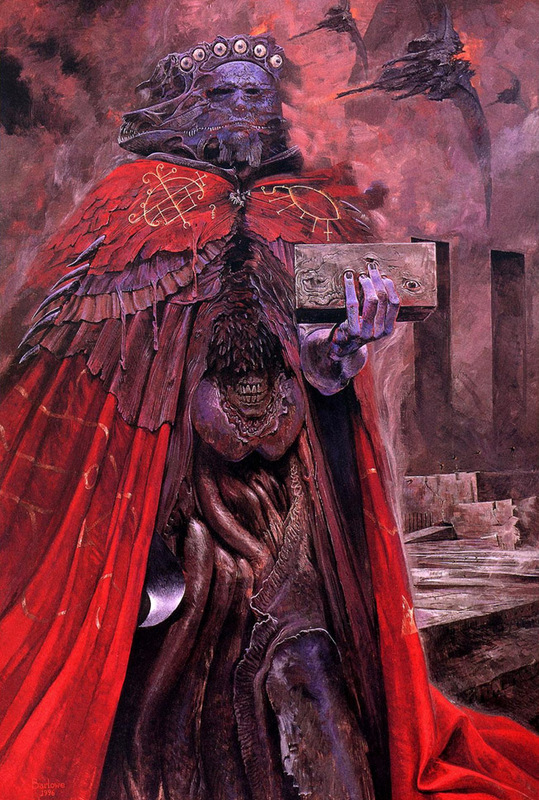 I’m a big fan of the character, as well as a lot of the concepts and imagery of Satanism, so I’d love a thread to discuss it all. My enjoyment of the Satanic aesthetic really depends on my mood. In general, I’d say I enjoy it in moderation. For me, there’s a very thin line between healthily Satanic and childishly edgy, so it’s easy to overdo the imagery and come off as lame. I really like seeing different depictions of hell, particularly the more alien and esoteric ones. 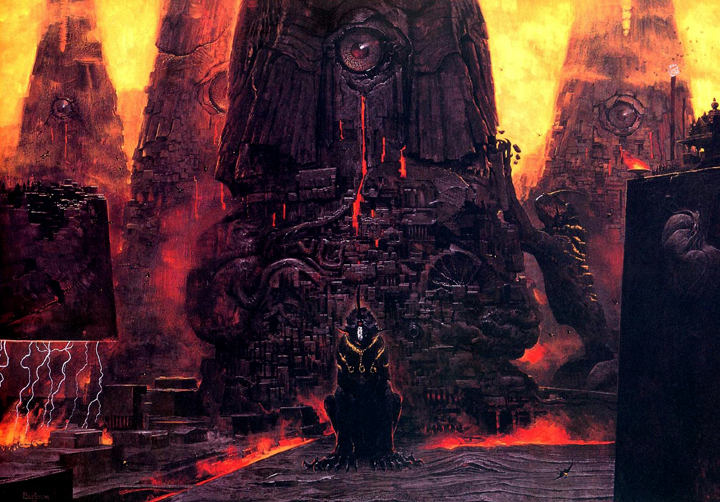 I quite like Wayne Barlowe’s vision of hell, for example. The second greatest trick the devil ever pulled was convincing the world that Starbucks has good coffee. Well at least they got Anime right. Funny how in the 70’s parents thought KISS was going to turn the youth of America into blood licking homicidal fiends, and now they’re safe enough to appear on Scooby Doo. Is Harry Potter still the poster boy for Old Scratch’s recruitment army? Or has something else taken it’s place? I still guilt my mother for disposing of my ungodly He-Man figures. So they’re zionists and hate imperfect Jews? So they want Jerusalem transferred to the Jews for Jesus? I love the black magic kind of Satanism, like Tarot cards and Aleister Crowley’s “Magik.” It’s a lot of fun. I also really love the character of Satan. That sounds like something out of Lovecraft. No, they just want to bring about the end of the world. Which Darwinian theories aren’t Satanic? Is he saying that the ones that allow for evolution from species to species are satanic but the ones that only micro-evolution, like the beaks of finches, are not satanic? Is that what he’s getting at? Yes, actually, that’s exactly it. Wow. Divination is also a Satanic power, by the way. Whatever you do, don’t let them find out about herring gulls or Satan will lay claim to the rest of Darwin. Pfft, the Herring gull is just a red herring towards the actual plans of Satan. Woof. I haven’t heard zionism used to refer to that philosophy in a long time. Probably since my Catholic high school days. Hit me up after the rapture. In fact, let’s have an OT.com rapture party! I’m not the least bit surprised. That kind of religiosity isn’t uncommon at all in the United States.